First off, I want to apologize for not posting more. All three of my girls were home in May and I cooked many of their favorites instead of always trying new recipes. I love having everyone home. Annie is now traveling with Baylor Business in Europe - taking six hours - but mainly having so much fun. She is loving it - from swimming in Lake Geneva to paragliding in Interlaken and on and on. Jenna is taking senior pictures this summer. She is having so much fun with her photography. She just took the Megabus to Chicago this week - having a great time! Meg just left for a high school church mission trip to Nicaragua. SO - we are empty nesters this week. I love my wonderful husband but I love having the girls and their friends here. Meg will be a senior this year - so not empty nesters just yet! At the end of school, I was enjoying some time on Pintrest. Everyone loves Pintrest. Pintrest led me to a great blog with great recipes... Cookies & Cups. There were so many fun recipes but I printed off two to try. I will make the other one soon. In Texas, we love Texas Sheet Cake. 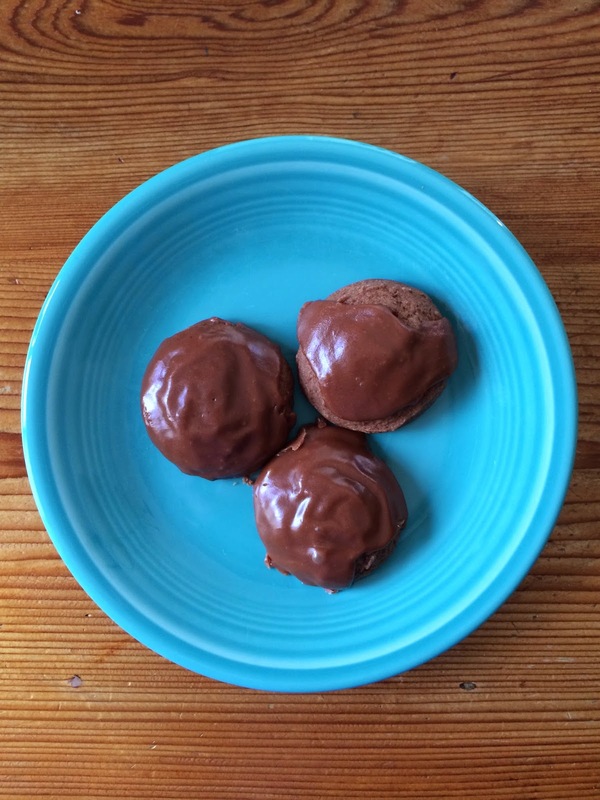 When I saw this recipe for Texas Sheet Cake Cookies - I knew I had to try it. This recipe only make 24 cookies but I went for it anyway. If you love Texas Sheet Cake, you will love these cookies. They are so yummy. My family thinks they are pretty rich so they enjoyed each cookie with a tall glass of cold milk or they warmed them in the microwave and served with vanilla ice cream. Enjoy - and be sure to check out Cookies & Cups! Preheat oven to 350. Line baking sheet with parchment paper or a silicone mat. In a bowl, use a mixer and beat butter and sugar together until light and fluffy, scraping sides. Add in egg and vanilla and continuing mixing. Mix in baking powder and salt. Turn mixer to low and slowly add in flour - Dough will be the thick. In Microwave, melt chocolate chips on high at 30 second intervals ...until melted. Stir after each 30 seconds and mix directly into cookie dough until evenly mixed. Drop by a measured tablespoon sized mounds onto baking sheet. Bake for 7-8 minutes or just until cookies appear set. They will be soft on the inside - DO NOT OVERBAKE!! Transfer to wire rack. For Icing..Combine butter, cocoa powder and milk in a medium saucepan over medium heat, whisking until melted together. Remove from heat and and whisk in powdered sugar. 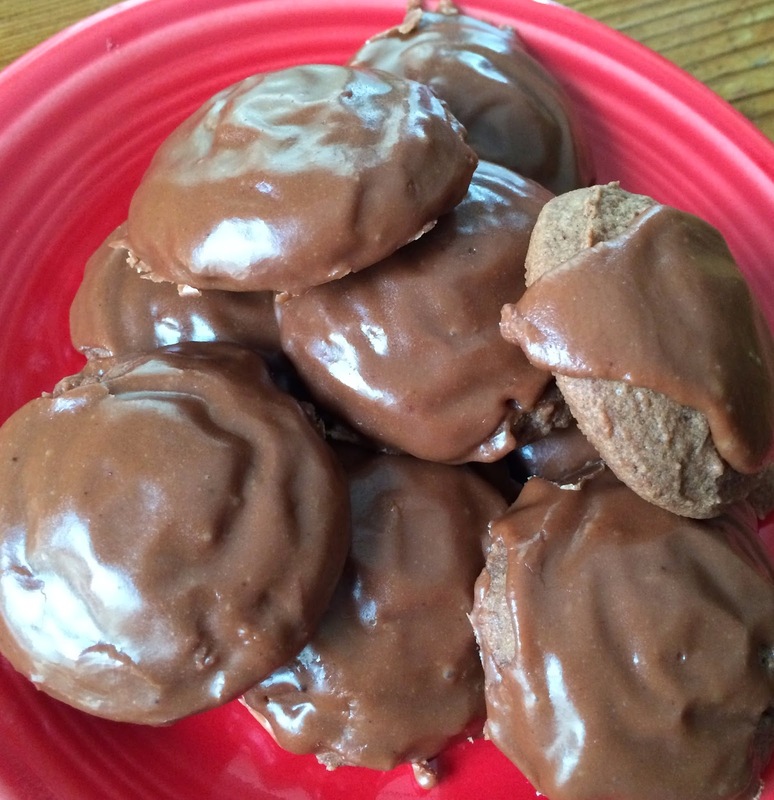 (May need a little extra milk to reach desired consistency) Spoon over cookies and allow icing to set before serving.